Eucalyptus Soap, Eucalyptus Spa Bar, 100% Natural, Handmade Soap, Natural Soap, Aromatherapy, Handcrafted, Soap, Eucalyptus, Eucalyptus Oil. More bang for your eucalyptus buck! 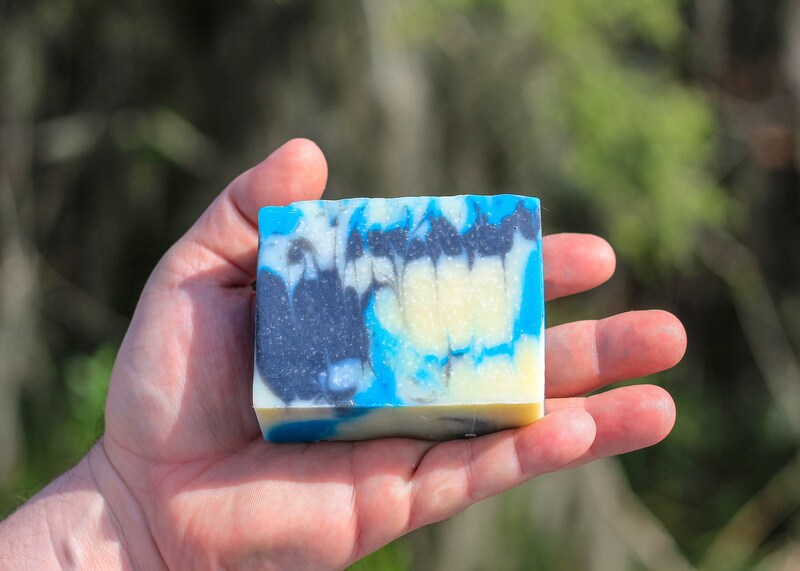 Fans of eucalyptus will fall in love with this bar as it has a much stronger scent throw. 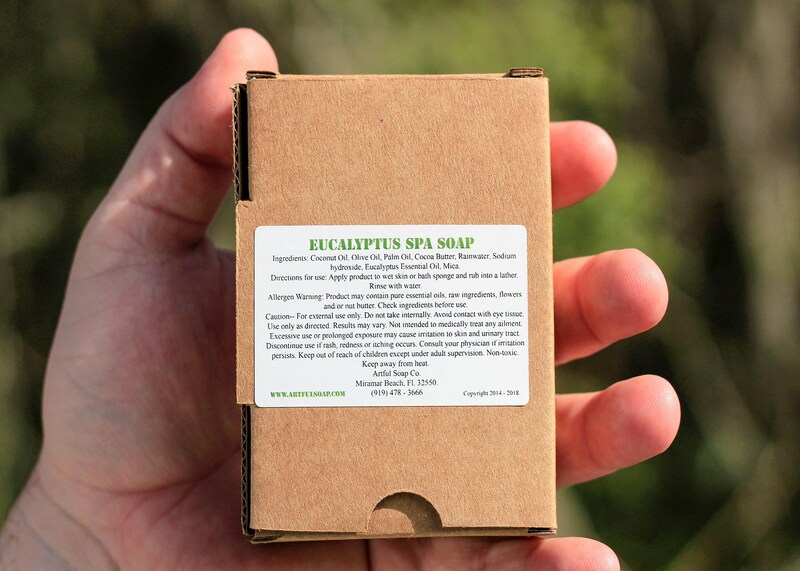 It contains lots of pure eucalyptus oil and nothing else! Pair that with a gorgeous design and you have an outstanding spa bar. 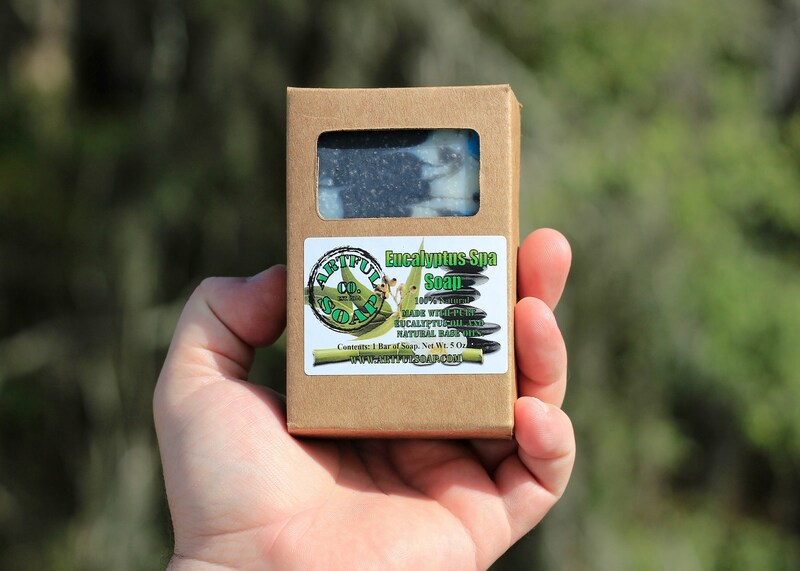 Packed with natural oils and butters, it is sure to moisturize the driest skin! Ingredients: Coconut Oil, Olive Oil, Cocoa Butter, Shea Butter, Rainwater, Sodium hydroxide, Eucalyptus Essential Oil, Mica.